Distribution management is an integral part of the larger universe of logistics and supply chain management. Distribution management includes forecasting, transportation, warehousing, and delivery. These require precise tracking, real-time information, and highly-skilled staffing to execute effectively. The ideal situation for any retailer or manufacturer is to have just enough inventory on hand to sell or to keep production lines running smoothly. These customers wish to hold as little stock as possible without running out. Since most clients require several different items, each sold or used at a different pace, forecasting the product mix becomes an integral part of their equation. Additional variables, such as sales promotions at the retailer or seasonal inventory build by the manufacturer, can make forecasting difficult. The perfect circumstance for distribution management is to have all fully loaded trucks operating on regularly scheduled routes 100% of the time with a 100% safety record. Since customer sales ebb and flow in real life, achieving this ideal objective is difficult. In some circumstances, temperature control and other special handling can further complicate the issue. Also, an effective distribution and warehousing company strives to maintain the optimal inventory with their suppliers to keep inventory management costs at a reasonable level without excessive safety stock. However, with the proper planning and execution, distribution management can effectively mitigate these seeming opposing challenges. TIP: Don’t settle for a distribution management strategy that isn’t right for your business. 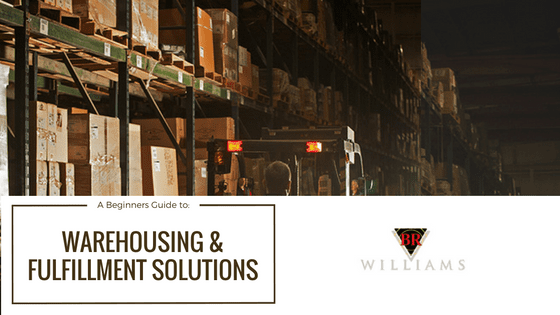 Learn more about warehousing and distribution options available to you. Running out of product or component parts is the customer’s worst nightmare. Distribution management must ensure the proper flow of information, forecasting, and accurate, safe, and timely deliveries are provided. In some scenarios, like with BR Williams, distributors are provided real-time sales information electronically to replenish inventories automatically without traditional ordering. This type of transparency allows each link in the supply chain to anticipate the needs of the end client and to adjust their stock levels and arrange deliveries accordingly. In these scenarios, the customer will also provide ongoing forecasts. In other cases, open and continual communication with the customer will help the distributor to anticipate inventory replenishment, schedule equipment and staff for delivery. The first step in preparation is to develop a customer-focused mission and company culture that blends the importance of customer satisfaction with the realities of business profitability. Measure every element of the business from forecasting, procurement, inbound freight management, warehousing and inventory control to order processing, load consolidation, delivery scheduling and backhauls. Working directly with employees in each discipline, look for ways to make each process more efficient. Key considerations are cycle time, cost analyses, on-time deliveries, accurate order fulfillment, and safety measurements. Create a plan with contingencies for every situation and ensure that all staff has input into making plans realistic. Training employees to execute the needs of a distribution company is more than explaining and showing “how” to perform a function. Underlying successful performance is a result of individuals understanding “why” a job needs to be done right and the potential ramifications of poor performance to the company’s future. The key for superior distribution management is to help new staff become familiar with all aspects of the job to be able to make intelligent and independent decisions in the future. Inventory management and warehouse management system (WMS) software can help to optimize space within a warehouse. 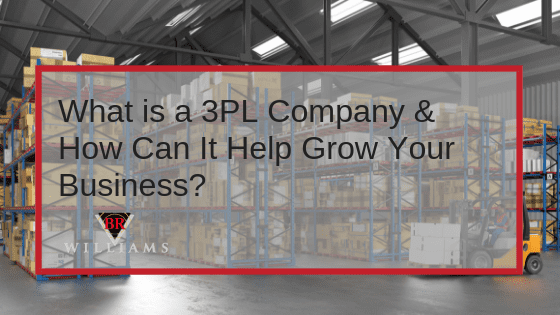 By maximizing existing space, companies can forestall expensive expansion and create more efficient inventory placement. Similarly, with loading and routing software, distributors can optimize vehicles and drive costs. These tools incorporate load quantities and target arrival times with distance and drive time. Optimizing the fleet is a substantial cost driver for a successful distribution management company. 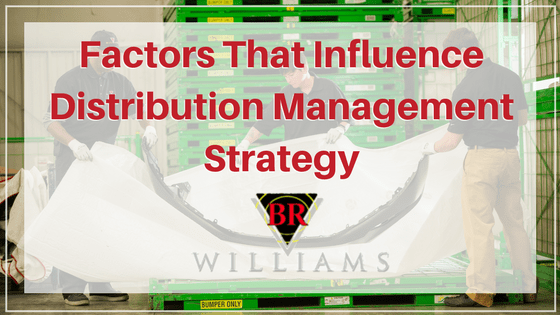 Pulling all of the variables together, making informed decisions, and striving to improve performance each day is the key to distribution management success. Complacency has led to the demise of many logistics companies, while innovation has created today’s leaders. Reliability, anticipation, responsiveness, safety, and high efficiency are the attributes of a genuinely successful distribution management company. Thankfully, BR Williams is here to help. To discuss your Distribution, Logistics, or Transportation Services options, please contact Matt Nelson at matt.nelson@brwilliams.com or (800)-523-7963. Warehousing and fulfillment are often critical links to optimizing your supply chain. Learn how distribution centers can enable optimized profitability.